My side return is, by definition, narrow. And the raised beds that I have there (filled with garlic and rhubarb) are currently performing very nicely. I have eight varieties of garlic in there, and three of rhubarb. The side return is technically south facing but it’s so narrow that the sun hits it for about 90 minutes a day, no longer. 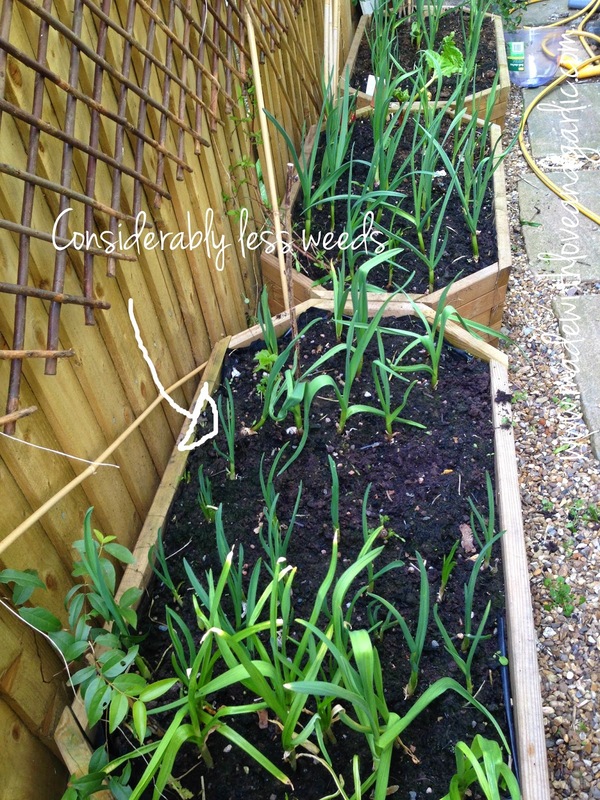 I hobbled outside a few days ago to try to weed the garlic beds as I could see that they were overgrown and I was amazed at the difference in the number of weeds in the two troughs. 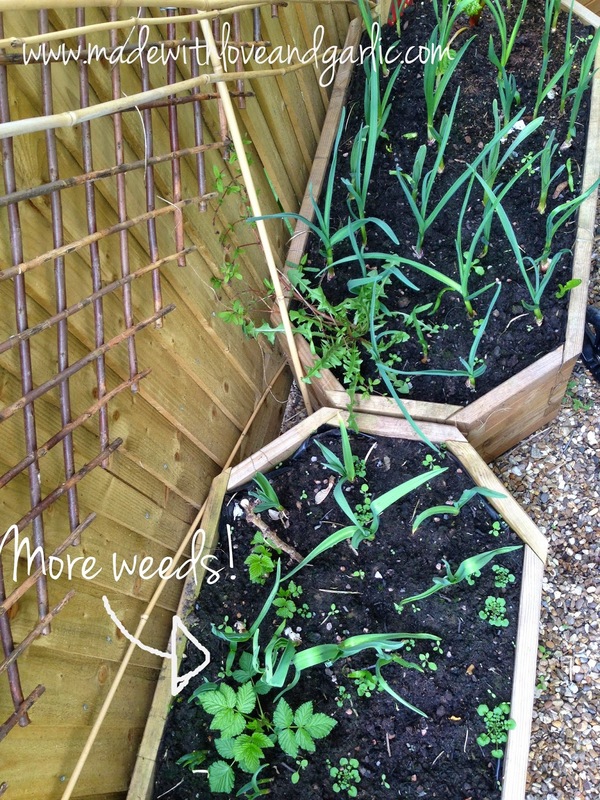 Do you think the one closest to the camera (and main part of the garden) has more weeds because it gets slightly more sunshine? Or do you think it is because that batch of soil had some weed spores / seeds in it? Curious! On a slightly happier note, weedy musings aside, I was almost drooling at the delicious garlicky smell that arose as I brushed the plants during my weeding session. I can’t wait to harvest the bulbs!